The Disco Dome takes bouncy castle fun to the next level. This is the ultimate bouncy castle for a dance party! 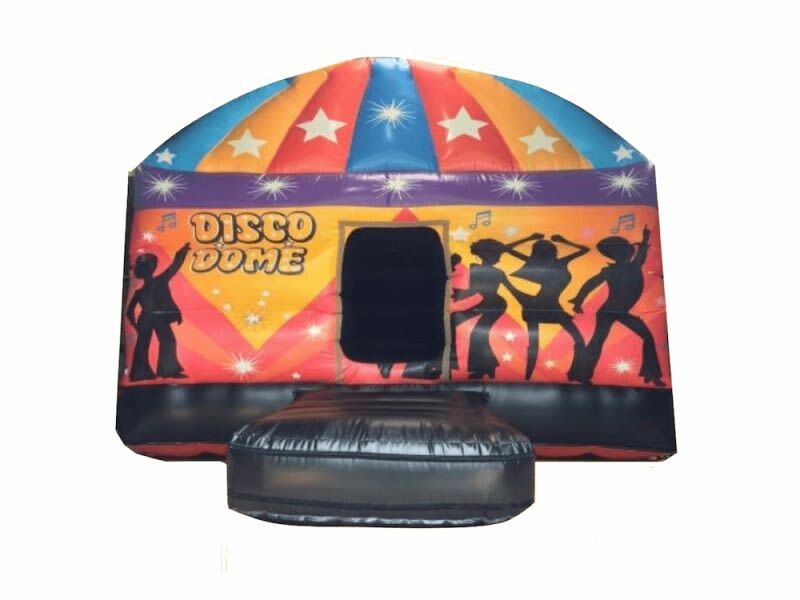 The Disco Dome comes equipped with a colourful laser light show and a Bluetooth music system, making this bouncy castle a hit with both adults and children alike - see additional pricing below. The Disco Dome is completely enclosed, meaning that the fun can continue even if it rains. A refundable deposit of £100 applies when hiring the laser light show and music system. This bouncy castle will fit comfortably in most back gardens. All of our adult bouncy castles have larger bouncing beds and higher walls, making them safe for adults of all ages. Please note that our adult bouncy castles are also suitable for children. To keep everyone safe, we recommend that adults and children do not use the bouncy castle at the same time.